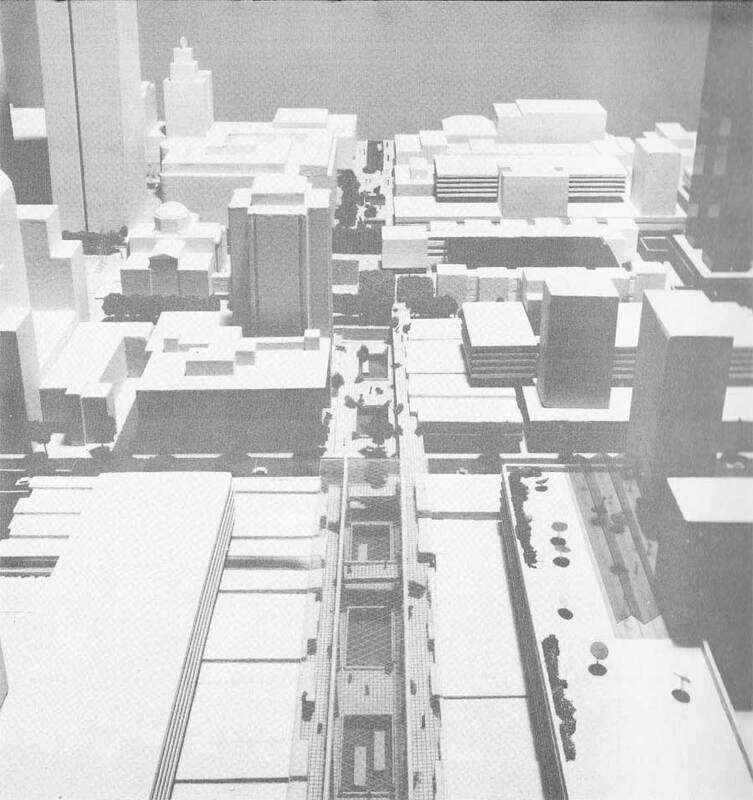 1966 Erickson/Massey proposal: Section along Robson street, showing the transit tunnel, the truck tunnel, and 2 level of covered shopping level above. 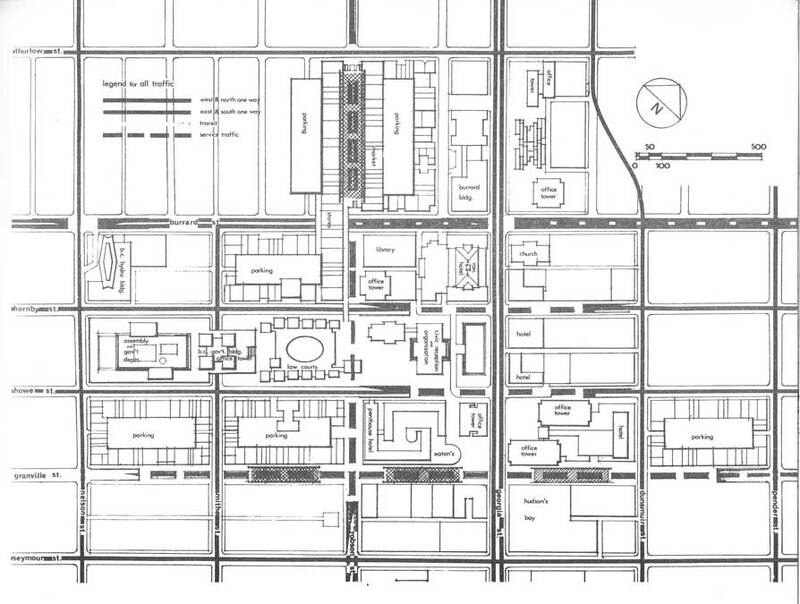 The access to Robson square is done thru the second level of the Shopping arcade – to not impede car traffic on Hornby street. 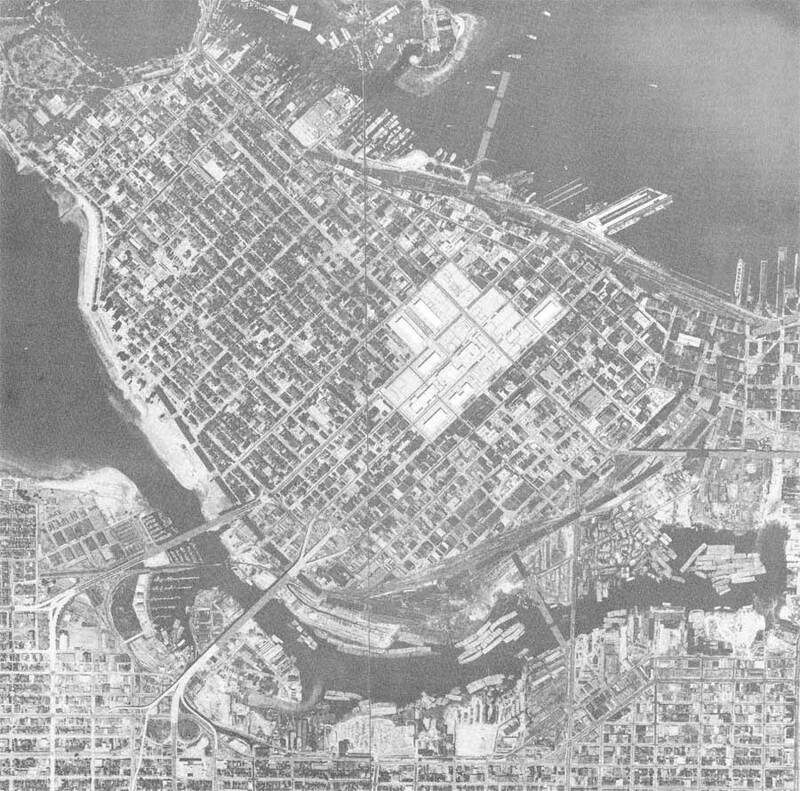 1966 Erickson/Massey proposal: Georgia cross Burrard thru an overpass. Robson square is connected to Robson street on the West via a passerelle…on the East the connection is unclear. It seems the pedestrian is expected to go/from Eatons and pacific shopping centre. That said this proposal is important, because it lays down many concept which will be applied in the design of the existing provincial court house complex. 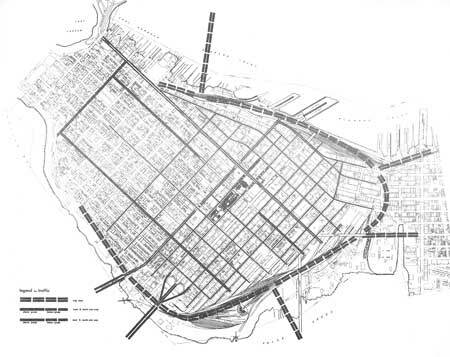 One of the most important is not to consider an extension of the Provincial court (from block 51 to block 61), but a relocation of it ( from block 51 to blocks 61/71), freeing block 51 to civic usage. 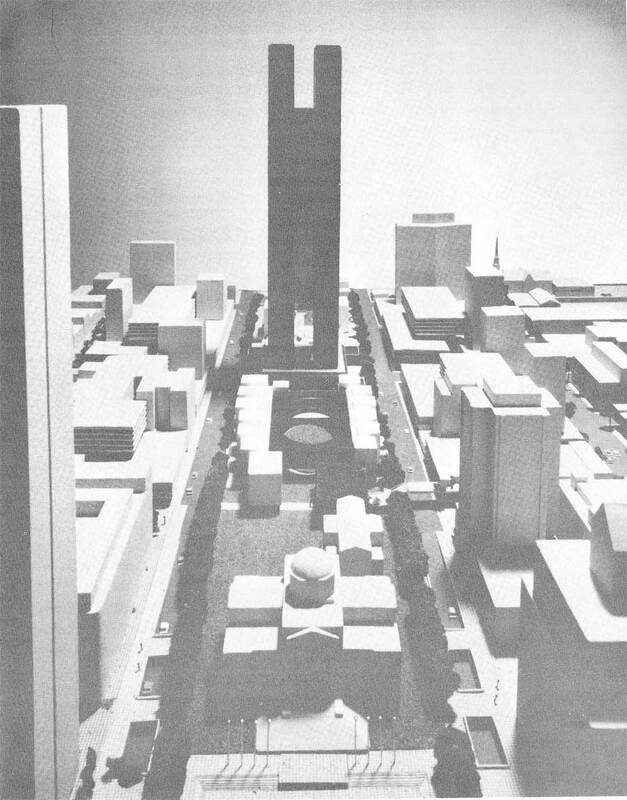 The concept of the sunken plaza, is also introduced in this proposal. 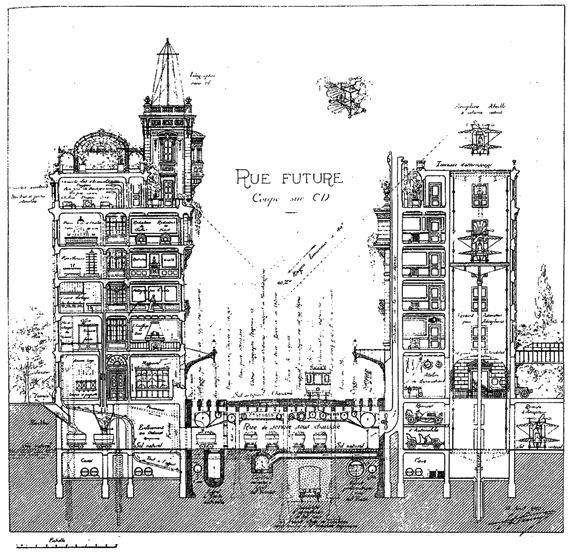 Some other concepts will appear in a different form in the Vancouver urban landscape…like the covered mall of the proposal, which will later translates into the rain-screen above sidewalk- in fact more inline with what was envisioned by Eugène Hénard in its vision of the Parisian street of the future…in 1900. While the car was considered as the mean of choice. 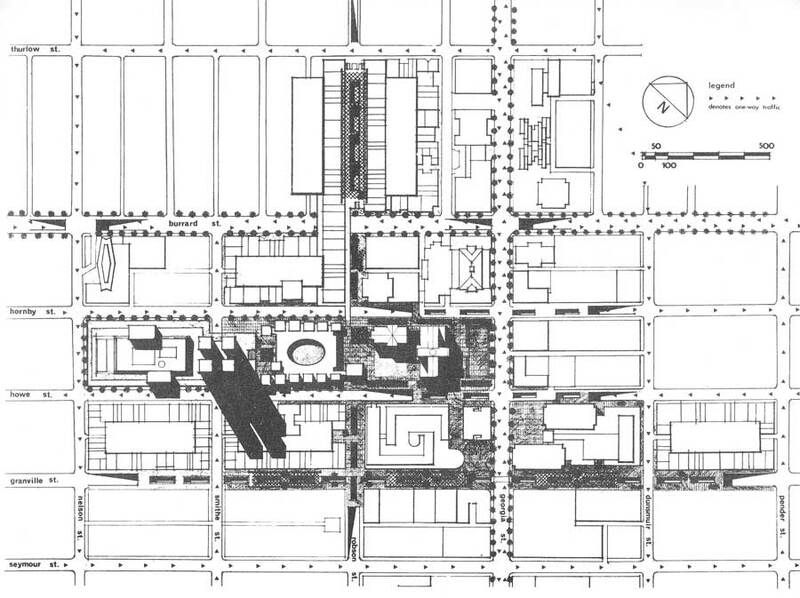 Tansit was considered as an important complementary component to the accessibility, and was brought right into the high street of the town, including of course Robson street and square. It was of course some dissident voices. The more noticeable was the one of the jurists, and the attorney general of the time, Robert Bonner. 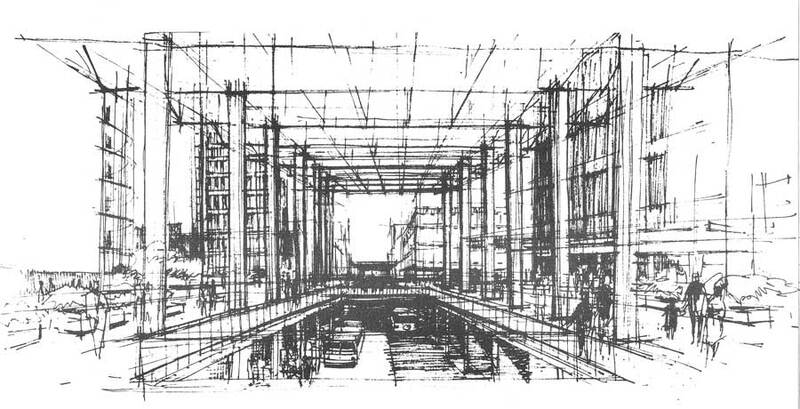 They had commissioned the architect Vladimir Plavsic to draft a “counter-counter proposal” (I don’t have more information on it, but for the record, Plavsic was a “brutalist” architect: he has designed the 805 Broadway Medical Dental Centre known as the Frank Stanzl building).